One of the leading investment groups in Azerbaijan, PASHA Holding, together with PASHA Bank, one of the leading corporate banks, held the next event of the unique corporate leadership program for women SHE Leads. The goal of the program is to support holding employees in their transformation into outstanding leaders in their teams that contribute to corporate success and professional development. The program is designed and operated by '100 Business Women of Azerbaijan' – women empowerment networking of female business owners and top-level executives. Speaking at the event, Deputy General Director of PASHA Holding, Farid Mammadov noted that by organizing long-term training and professional development programs in the working environment, the company is moving steadily towards the development of corporate culture. 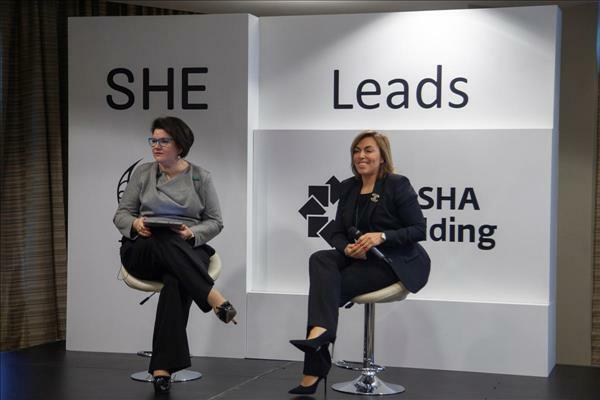 'The speeches of our female colleagues sharing their experience, as well as speakers, will contribute to the development not only of the guests of the event, but of all employees of the holding,' said Farid Mammadov. The representative of the holding also stressed the importance of the program for expanding communication opportunities within the company. 'By supporting this kind of programs, the corporation is setting an example in the country's corporate world by bringing its employees to the entirely different level of the corporate culture. The goal of the program is to support women in education, empowerment, as well as inspire for further growth and provide a platform for effective networking. Women who have demonstrated great success in their business and coaches will become a model for participants and help them improve their leadership skills', stated Ms. Tatyana Mikayilova, Chairwoman of '100 Business Women of Azerbaijan'.